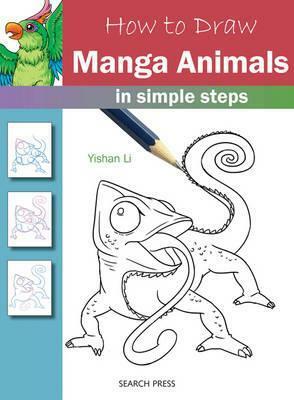 Animals are a popular subject within the manga genre, and this book is perfect for anyone seeking to learn the basics of creating these amazing creatures. The reader can choose from 28 different manga animals, all full of character and in a range of dynamic poses, including a dog, panda, fox, chameleon and penguin. Each drawing is developed in eight easy stages from a rough sketch of the basic shapes through to the finished, coloured drawing, making this book suitable for adults and children of all ages and abilities.